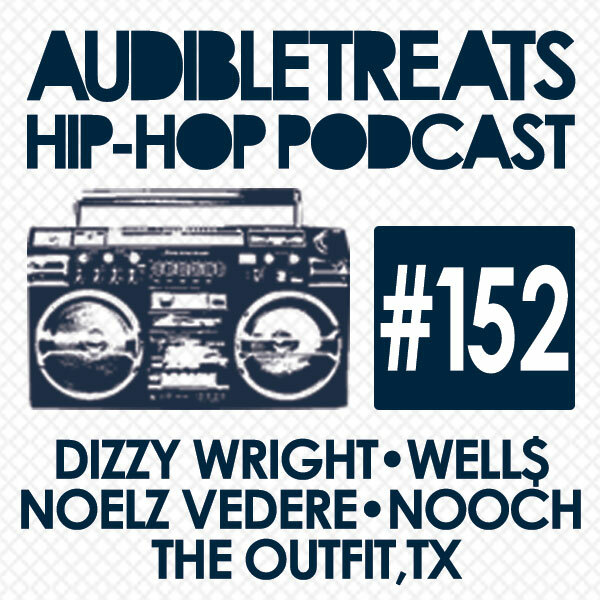 Audible Treats brings you the most recent hits from our artists in this week’s Hip-Hop Podcast. Kicking things off we have Charlotte rapper Well$ with “Savoir-Faire,” a track from his upcoming mixtape, MTSYD: Revenge of The African Booty Scratcher, due this April. Next up is 18-year-old D.C. rapper Nooch with “Too Many,” feat. Fat Trel. Nooch is part of the new wave of rappers coming out of D.C. and has positioned himself to take his place amongst DMV’s rap elite. Following the young rapper is Noelz Vedere’s track, “Bittersweet” feat. Sunni Colon. Hailing from Chicago’s Northside, Noelz raps over spacious synths and airy snare hits as he aims for the highest echelon of music success. Next we have Funk Volume star, Dizzy Wright, with “The Perspective” feat. Chel’le. The XXL Magazine 2013 Freshman raps about the “selfie epidemic” in his track off his wildly successful mixtape, The Golden Age. To round out our latest podcast, rap trio The Outfit, TX hits us with “Drunk Driving,” an eerie, hazy track that showcases their signature Texas sound. Stay tuned for our next podcast.